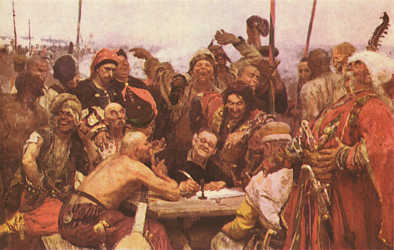 Zaporozhtsi write a letter to the turkish sultan, by I. Repin, circa 1880-1891. Kharkiv Art Museum. Legend of the Founding of Kyiv 482 A.D. The Cossack Letter -- "The Most Defiant Letter!" Who Has A Right To Crimea?